We have combined over two decades of experience with an attention to detail establishing a standard of excellence throughout the Bluegrass and surrounding regions. Our masonry services are available throughout Central Kentucky including Lexington, Frankfort, Georgetown, Paris, Versailles, Nicholasville, Danville, and Richmond, as well as other communities. We specialize in both residential and commercial masonry construction. Regardless of the design or nature of your project our team is prepared to handle each project with precision and professionalism. 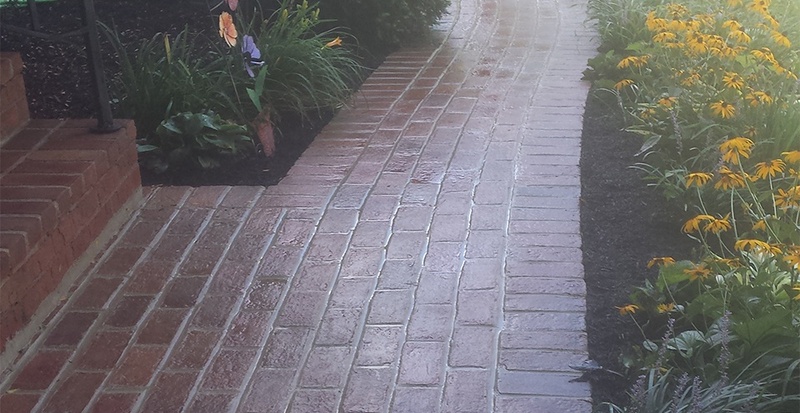 Incorporating only the finest brick and stone materials, we strive to create a lasting impression on our customers for years to come. We understand that not all contractors are created equal which is why we aim to provide our services in a manner that sets us apart. Authentic Stone Creations is licensed, fully insured, and has an A+ rating with the Better Business Bureau. Have you considered having your existing chimney or fireplace repaired? Years of weathering can cause undesired cracks, loosening mortar joints, and spalding to occur on your masonry surfaces. These are common repair items especially for chimneys, walkways, and stairways. Perhaps you are concerned about the safety and efficiency of your fireplace / chimney flue or cap and would like more information pertaining to a chimney cleaning or having a new chimney liner installed. Our liners come with a lifetime warranty and will increase your fireplace's heating efficiency. We also install new inserts and wood stoves. In addition to these items we frequently build or repair retaining walls, outdoor patios, and walkways. With a variety of quality materials and designs to choose from we will consult with you through every phase of planning and construction to ensure that your project is a pleasant and successful experience. We would love to make your next project our priority!